Love this vacuum. Works great! - AirClean Sealed System Construction - Perfect for any Allergy or Asthma Sufferer - Comes with Active Air Clean Filter which helps reduce Odors and Pet Smells while Filtering the Air! - Comes with Miele SEB-228 Powerhead - Great For deep cleaning and restoring crushed carpet nap on all types of carpeting. Also perfect for picking up large amounts of pet hair from carpet. A perfect synergy of design and functionality, Miele's C3 series sets new standards in floor care. Superior engineering is balanced with carefully-selected, fine quality materials such as a durable stainless steel wand and specialized ABS plastic with a hard, impact-resistant surface. The C3 series features innovative skeleton construction, making it 2 lbs. less than the S5 series. Other conveniences include a 36-foot operating radius and foot pedal controls for quick and effective cleaning. C3 also features a silence motor to maintain a quiet environment, and an AirClean Sealed System that not only vacuums your floors - but also cleans the air your family breathes. 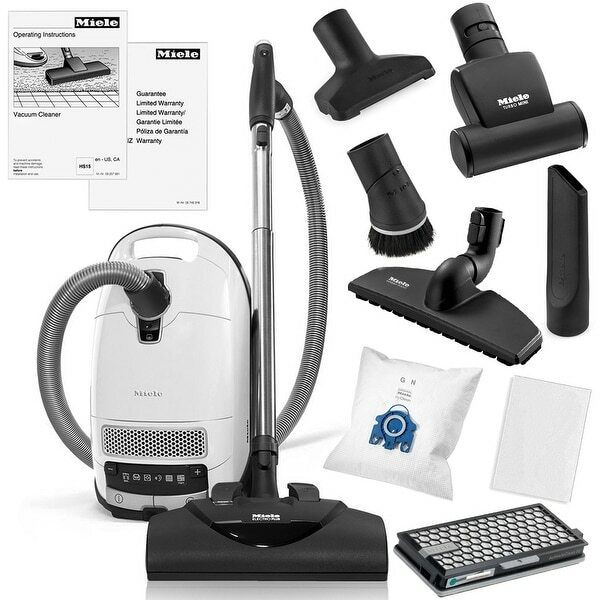 Miele's C3 Cat &amp; Dog vacuum cleaner features an Electro Plus electrobrush. With a five-level height adjustment and an independent motor, the Electro Plus delivers the ultimate in cleaning power. A perfect choice for larger rooms with medium to deep pile carpeting. The Cat and Dog also includes the Parquet Twister - providing 180&deg; rotation for the agile, yet gentle care of smooth surfaces. It also has an Active Air Clean Filter with active charcoal layers to neutralize and absorb unwanted pet odors. A telescopic, stainless steel wand and long electrical cord, with one-touch automatic rewind, provide a total cleaning radius of 33 feet. The C3 Cat &amp; Dog is also equipped with a Deluxe Comfort Grip handle and six-stage suction control via a +/- foot switch. In addition to the three standard accessories - a dusting brush, upholstery tool and crevice nozzle - the Cat &amp; Dog features a Mini Turbo Brush that easily removes pet hair from furnishings and a 3D bumper. I have been looking at this vacuum for a while. Because the cat version was much higher than most, I also read many reviews to find the best vacuum to pick up fine long-har cat fur off area rugs and floors. So far, I am extremely pleased with my purchase. Have not used all the attachments and may not need all of them. However, the vacuum is easy to move around, the cord retracts inside, and it's not too loud. The pet fur is easily picked up, so much better than my previous "pet hair/fur vacuum". 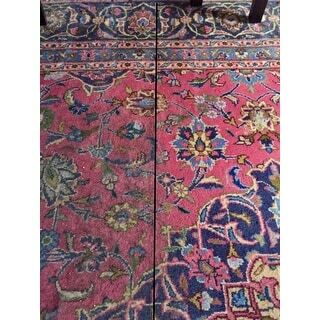 I really love switching a button to go from floor to rug although there is another attachment you can use for the floor or rug. So far, I'm a happy customer See the photo, right side after a few swipes of the vacuum, left side full of cat fur in their favorite sleeping spot. My girlfriend has been telling me to buy a Miele for years, but with all wood flooring I couldn't justify the expense. After moving into another home with (too much) carpet, I read many reviews and did a lot of research before making this investment. I'm VERY pleased with this vacuum - it's simply in a class all its own. I haven't regretted this purchase one minute since I received the vacuum, and I wish I hadn't spent years buying cheap vacuum cleaners that had to be replaced over and over. This one is a BEAST; motor is so smooth and powerful, and it never struggles with a higher pile. I can't believe the amount of dirt it removed from my carpet on the first pass! One reviewer I saw suggested buying extra filter bags with the vacuum, as you will fill the first bag immediately - great advice!! This vacuum is perfect for hardwood floors. You can have the suction on without the brush spinning which makes it super quiet. It works well on carpet too. I'm tall and the adjustable handle keeps me from bending over to vacuum. I'm happy with my purchase. I thought my old Hoover was ready for retirement, so I bought this Miele. I couldn’t believe the difference! This vacuum is very powerful. I have 2 dogs &amp; it gets all their hair &amp; any messes made with little effort. I also love how light it is &amp; quiet. You can still hear the world while vacuuming. I’m very happy. Just received the complete c3 cat and dog. This machine is replacing an old miele model which was great. This machine has so much power you can see the dirt, hair getting vacced into the head well before you are over it. Well worth the money. It's hard to spend more money on a vacuum than my first car cost but this is worth it. Great suction. It's light and seems well made. Made vacuuming the stairs easy. Picked up pet hair easily. Was looking at buying a top of the line Kenmore canister (3rd one in 16 years) And found the Miele on sale. And I had a coupon too. It arrived quickly and worked great out of the box. I am watching sales so I can get another one for the 2nd floor. If it lasts 20 years, it is well worth the extra money. I bought this vacuum to replace our Dyson which never worked that well from day one. About our home: 2700 sq ft (mostly carpet), 1 German Shepherd and two cats. There's a lot of reviews, so I don't want to repeat too much about how great it is, but I will say, if your previous vacuum wasn't very good, and you have a lot of carpet you might as well go ahead and order replacement bags at the same time. Ours was completely full after one full cleaning (and it's a BIG bag). It is very quiet. Easy to maneuver. Long cord. And does a super job in cleaning my dog and kitty hair. Bags hold a lot. I bought this vacuum to replace my Dyson Pet upright. What a difference! My carpet is noticeably cleaner, and the vacuum is so quiet relative to the Dyson. It is used 3 times per week, and holds up wonderfully. I am a Miele fan! This vac works wonderfully. It picks up dog hair out of the carpet from 3 dogs and I even use it to vacuum the rabbit hair from her bunny condo. No clogging, no issues. Excellent vac. This vacuum is so quiet and really does a great job. I love how it is easy to maneuver and comes with all different attachments! Finally a smaller, quiet vacuum that picks up long white dog hair. "Does this come with a hard floor attachment?" Already have a Miele for many years. Wanted to do an upgrade. I am replacing my older Miele vacuum. Excellent price. Free shipping.